Just a short note of thanks for your outstanding presentation yesterday for our MTC Entrepreneur Club. You drew one of the largest (if not the largest) attendances we have had!!! Everyone was responding to your cues, all were listening, and your points being made on first impressions, dress code, body language, and manner of speech were right on target. I wanted to thank you for a wonderful presentation yesterday at the Center for Women group. The tips you gave about entering and exiting a group (never intrude on a group of two!) and general etiquette were fascinating. I will be sure to put them to good use next time I am at a social event. On behalf of the South Carolina Chamber of Commerce, we are writing to express our sincere appreciation for your providing of the Keynote Address during the Outclass the Competition Session of South Carolina Business Week. The students, staff, and volunteers appreciate your time and contribution to providing such powerful words to our business leaders of tomorrow. With your support, South Carolina Business Week 2016 was a successful and dynamic business education experience for many of South Carolina’s best and brightest high school students. Your talk was wonderful, and the amount of energy you brought really kept the students energized during your session. Our students survey reports you as one of three Most Influential Speakers and Favorite Speakers of the Week. Please take great pride in your commitment and dedication for making a difference in the lives of students across the wonderful state of South Carolina. Engaging. Enthusiastic. You just can’t doze off on her. Gisela knows how to keep the audience engaged and focused. Her enthusiasm will keep you captured from start to finish. We received raving reviews from our students about her presentation. Her ability to connect to a variety of personalities and cultures is a true gift. Gisela did an awesome presentation to our students at our Financial Literacy Workshop on Nov 3, 2015. Thank you! "I have witnessed clients leaving this class with smiles on their faces. Some folks even stay later to talk after the meeting with the instructor to learn more and several clients have stated to me how much they have enjoyed the class and feel more confident to find and keep a job. Thanks for all you do!" Gisela, You were a great speaker. I’d love to know if you had any training on public speaking because I need more training myself and I thought you were great today! Thank you. It was very interesting + informative + helpful. Thank you. Gisela's insights and coaching are truly helpful. Her honesty, creativity and straightforward approach were just what I needed to be able to break through some long-held unproductive beliefs. Thank you for sharing your time and expertise with us for the Brown bad today. I know the attendees valued your presentation. We appreciate your insight! I enjoyed your presentation at the Brown Bag Lunch by the Center for Women. Thank you again for sharing meaningful information. Gisela was very knowledgeable and enthusiastic. As a smaller person, I feel that I benefited tremendously from this seminar because of her teachings and your presence. It is with great pleasure that I write this letter of recommendation for Gisela Klöss. Gisela taught etiquette classes at Transitions Homeless Center. 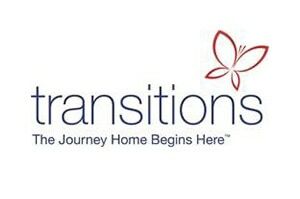 As Jobs Case Manager, I oversee our employment program, Transitions Works. Therefore, I observed many of Gisela’s classes for the year she volunteered her time at Transitions. The first time I observed Gisela teaching, I immediately saw that she had the respect of the clients in her class. Her knowledge base regarding both business and etiquette is impeccable. Yet, she was in no way intimidating to our clients. She also became viewed as a valuable resource for the Transitions Works program because she would teach etiquette in a practical way that could help clients find and keep a job. Gisela is an instructional leader. She needed no direction to perform her job. Her decisions about instruction were appropriate; her willingness to go above and beyond was evident. She would often ask me if there were any additional ways that she could assist me in preparing professional development classes for Transitions Works. Moreover, do not misinterpret Gisela’s sophistication and elegance as a weakness when working with certain disenfranchised populations. She is so down to earth that she is able to reach all people. I would listen to the caring way that she answered questions. I also heard several clients say that they loved coming to her classes. As you can see, the clients learned from this exceptional instructor and business woman. She connected with our clients and used her knowledge to help them. She extended their learning by bringing culture to those who were in unfortunate situations. She promoted the possibility of something better and appeared to have changed some people’s perception that etiquette classes are only for the rich. She created so many real life scenarios that demonstrated that the skills she taught could be used by those who were not financially well off. Finally, Gisela is also collaborator, a learner, and consistently moves forward in her own growth. serve as another opportunity for her to elevate the skills of people who are fortunate enough to be in her class. Gisela has a special gift in that she knows how to captivate the masses. Therefore, she is someone that deserves opportunities and pay that is reserved for the select few top caliber professionals because of the value she brings is worth so much more.